Hi guys! 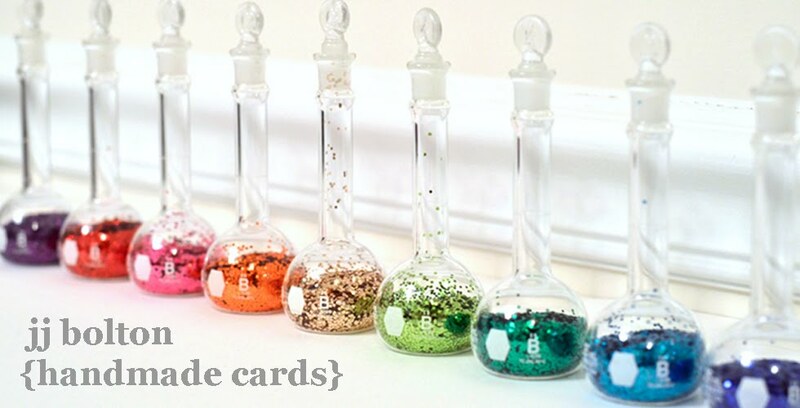 I'm still working on my holiday cards, and I've added one more this week. This card uses Avery Elle's Pop Up Wreath die and the Fa La La stamp set and matching die to create a more modern, graphic wreath card. 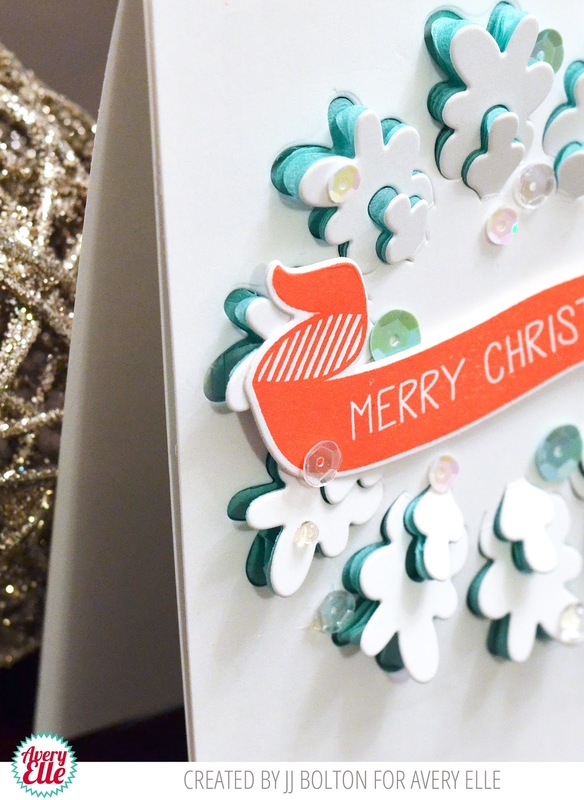 The Pop Up Wreath die cuts a 3D design that you can lift up off the card. Since the pieces of the wreath lift up, whatever you back your wreath with is visible. 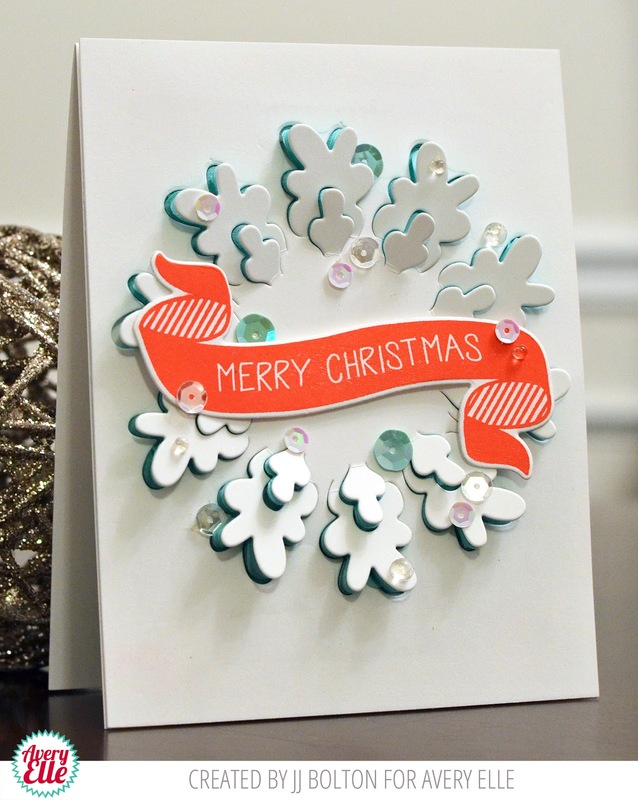 In my case, I stacked several layers of mint-colored tissue paper behind my white card stock panel and then die cut the wreath. The layers of cut tissue paper make a petal-like design. Here's a little closer look at the layers of tissue paper behind the top card stock layer. (If you have honeycomb tissue paper, I bet that would work too) On top of the wreath, I added the sentiment banner and a bunch of white, clear, and mint sequins and acrylic drops. 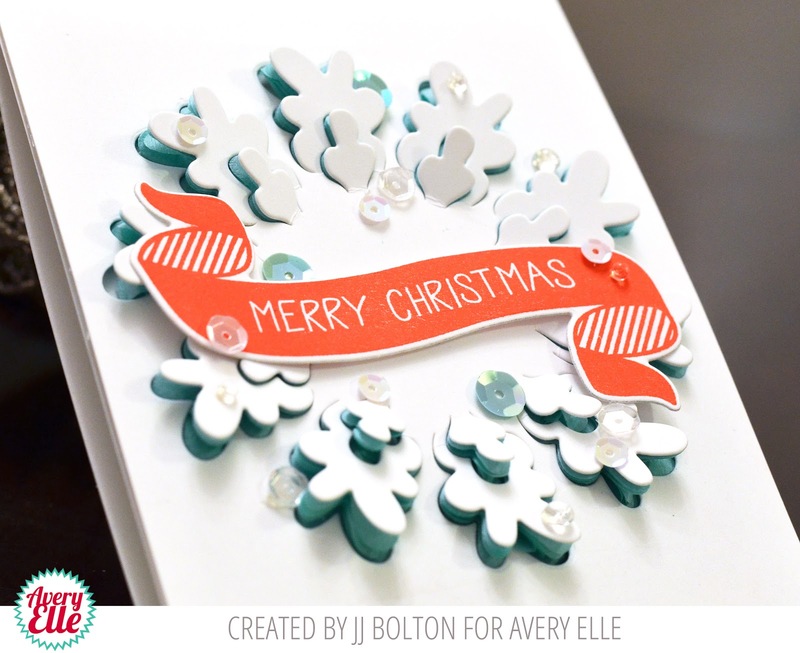 I can't wait to try this out with other colors of tissue paper! JJ this is beautiful! I love the orange and pops of teal. Oh, this is so pretty, JJ! How clever you are to use several layers of tissue behind wreath! LOVE your color combo, too!